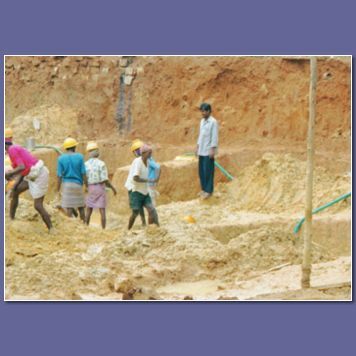 Bangalore is a city of contrasts -- modern buildings, high tech communications, side by side with traditional manual work. 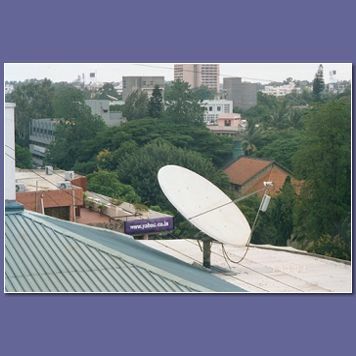 Yahoo's India headquarters is seen here, just behind a satellite dish in downtown Bangalore. 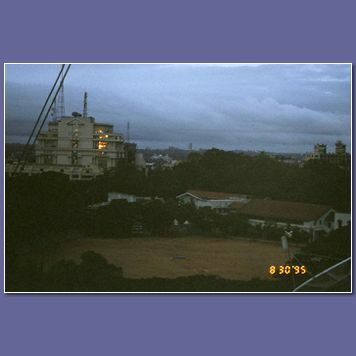 Dawn over the cricket field at the Bangalore Club. This field is used for cricket practice and matches pretty much dawn to dusk, 6 days a week. Behind is another large high tech building. 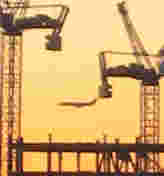 Construction work is completely manual. This is a small view from a large excavation site, where a new modern building will soon be built. Not a single piece of machinery is visible. 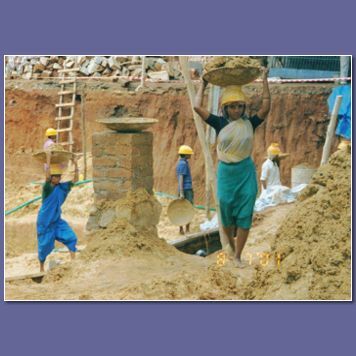 The workers are mostly barefoot women, carrying the piles of dirt on their heads. These men are wearing lunghis, not miniskirts. 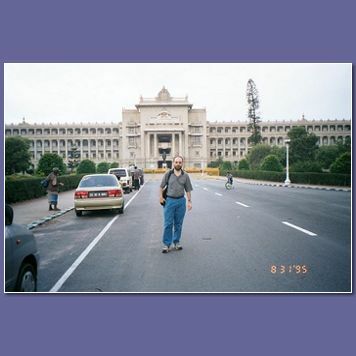 Here I am standing in front of the Karnataka State House. This is a massive building of government offices.